Long before the first European explorers stumbled upon the area that would become Memphis, the Chickasaw Indians inhabited the wooded bluffs along the Mississippi River. Though a treaty between the Native Americans and the settlers gave control of the bluffs to the Chickasaw, they eventually ceded the land in 1818. In 1819, John Overton, Andrew Jackson, and James Winchester founded the city of Memphis on the fourth Chickasaw bluff. They saw the bluff as a natural fort against attackers, as well as a natural barrier against the floodwaters of the Mississippi River. Additionally, its point along the river made it an ideal port and trading center. At its inception, Memphis was four blocks wide and had a population of fifty. James Winchester's son, Marcus, was made the first mayor of the city. Memphis' first immigrants were of Irish and German descent and were responsible for much of the city's early growth. These immigrants opened businesses, built neighborhoods, and started churches. As Memphis grew, slaves were brought in to further develop the city, building roads and buildings and farming the land - especially the cotton fields. The cotton trade became so profitable that many people did not want to secede from the Union at the beginning of the Civil War, unwilling to give up their industry ties to the northern United States. With plantation owners being so dependant upon slave labor, however, the city was divided. Due to its location, the Union and Confederacy both staked claims to the city. Memphis served as a military supply depot for the Confederacy until the South was defeated at the battle of Shiloh. Memphis then became Union headquarters for General Ulysses S. Grant. It may be because of its valuable location that the city was not destroyed like so many others during the Civil War. Instead, Memphis was booming with a population of about 55,000. Not long after the war, however, the city was plagued by a yellow fever epidemic which killed more than 5,000 people. Another 25,000 fled from the area and the state of Tennessee repealed the Memphis' charter in 1879. A new sewage system and the discovery of artesian wells are credited with bringing an end to the epidemic that almost destroyed the city. For the next several decades, loyal and dedicated Memphians invested their time and money into restoring the city. By rebuilding the cotton trade and developing businesses, the city became one of the busiest and most prosperous in the South. In the 1960's, the struggle for civil rights in Memphis came to a head. A sanitation workers strike sparked a campaign for equal rights and against poverty. The struggle prompted Dr. Martin Luther King, Jr. to visit the city, bringing with him national attention to the problems faced by minorities and the poor. During his visit, King was assassinated on the balcony of the Lorraine Motel where he was speaking to the crowd. The motel has since been transformed into the National Civil Rights Museum. In addition to the Museum, other changes can be seen all over Memphis. The city is now one of the nation's busiest distribution centers and is home to one of the largest and most well-equipped regional medical facilities. Downtown has received a face-lift and is now home to a renovated Beale Street, Mud Island, FedEx Forum, and upscale homes, galleries, and boutiques. 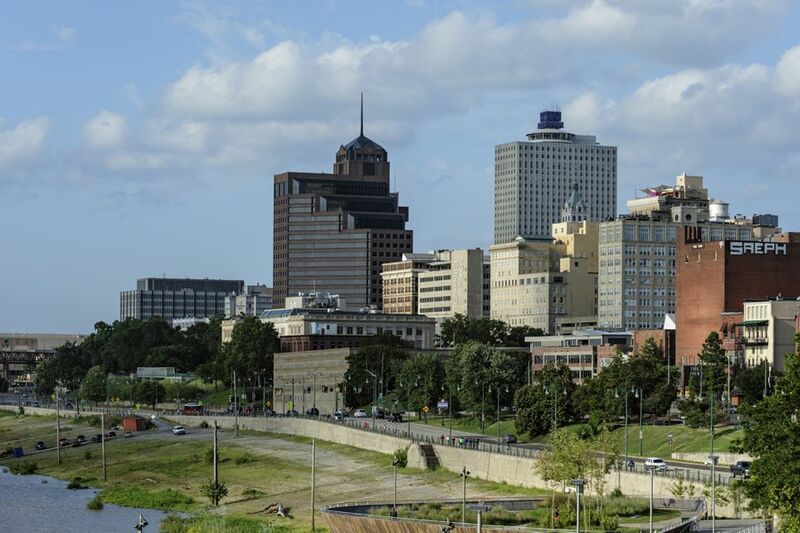 Throughout its rich history, Memphis has seen times of prosperity and times of struggle. Through it all, the city has flourished and will undoubtedly do so in the future.